Introducing the BMW Motorcycles Navigator VI GPS WITH CRADLE! 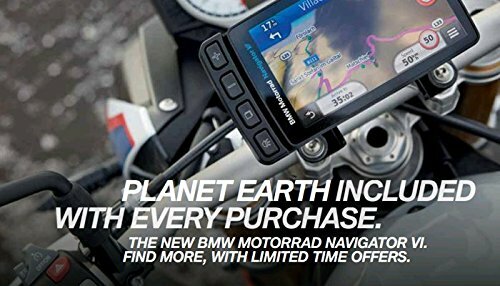 Co-developed by BMW Motorrad and Garmin International, the Navigator VI is an exclusive BMW Motorrad product that does not have a Garmin consumer equivalent capable of being used with motorcycles factory equipped with GPS preparation or the Motorrad exclusive Advance Cradle. The BMW Motorcycles Navigator VI GPS has many improvements in features and rider convenience over the previous BMW Motorcycles Navigator V GPS.